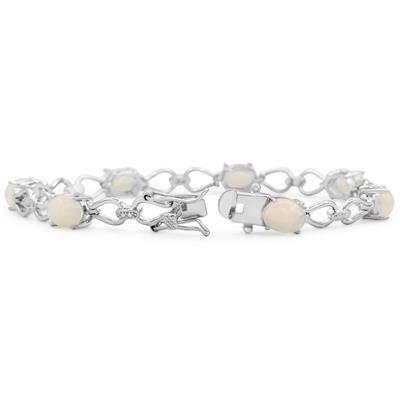 This gemstone and diamond bracelet features 7 8x6mm oval shape opal gemstones that weigh 5 1/2 carats in total. 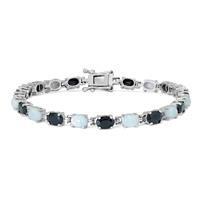 The bracelet features two sparkling diamond accents in J-K color, I2-I3 clarity at 0.01 carats total. 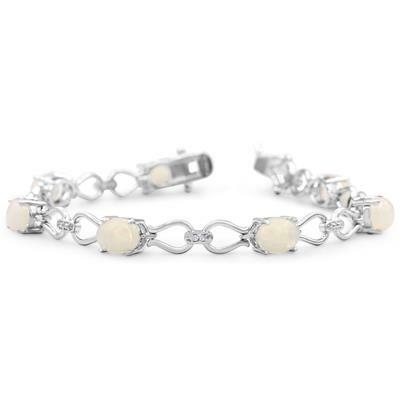 This bracelet is in platinum over brass metal and is 7 inches long. 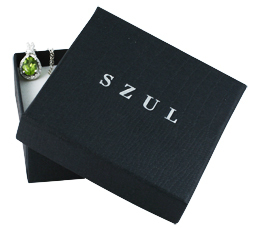 There is a secure, box with tongue and safety clasp.